steps in designing an impressed current system, and the field testing requirements needed for both. 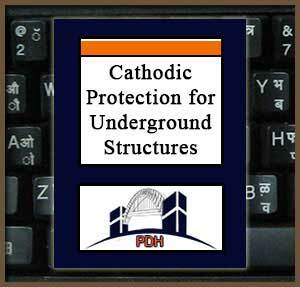 This is an introduction to the design and application of cathodic protection systems to mitigate corrosion in underground steel structures such as tanks and pipelines. It also introduces you to the on-site testing needed in order to acquire the technical information needed to successfully complete the system design. This course is intended for engineers and other construction professionals with a current or prospective need to understand the fundamentals of protecting underground structures such as tanks and pipelines from corrosion using sacrificial anode and impressed current cathodic protection systems. This course will give engineers and others engaged in design of design and maintenance of underground steel structures such as tanks and pipelines an introduction to cathodic protection using sacrificial anode and impressed current systems. Learn how to calculate rectifier voltage for impressed current systems.